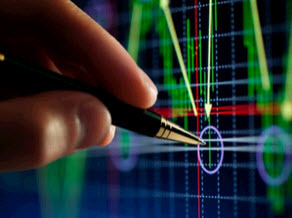 Securities issued by corporations may be classified roughly as equity securities and debt securities. The distinction between equity and debt is basic to much of the modern theory and practice of corporate finance. 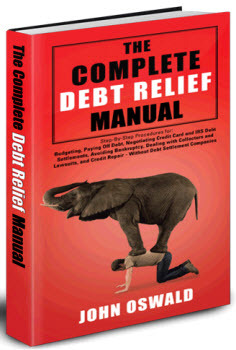 At its crudest level, debt represents something that must be repaid; it is the result of borrowing money. When corporations borrow, they promise to make regularly scheduled interest payments and to repay the original amount borrowed (that is, the principal). The person or firm making the loan is called a creditor or lender. The corporation borrowing the money is called a debtor or borrower. The amount owed the creditor is a liability of the corporation; however, it is a liability of limited value. The corporation can legally default at any time on its liability.3 This can be a valuable option. The creditors benefit if the assets have a value greater than the value of the liability, but this would happen only if management were foolish. On the other hand, the corporation and the equity investors benefit if the value of the assets is less than the value of the liabilities, because equity investors are able to walk away from the liabilities and default on their payment. 1. Debt is not an ownership interest in the firm. Creditors do not usually have voting power. The device used by creditors to protect themselves is the loan contract (that is, the indenture). XH. DeAngelo and L. DeAngelo, "Managerial Ownership of Voting Rights: A Study of Public Corporations with Dual Classes of Common Stock," Journal of Financial Economics 14 (1985). 2R. C. Lease, J. J. McConnell, and W. H. Mikkelson, "The Market Value of Control in Publicly Traded Corporations," Journal of Financial Economics (April 1983). 3In practice, creditors can make a claim against the assets of the firm and a court will administer the legal remedy. holders after the tax liability has been determined. 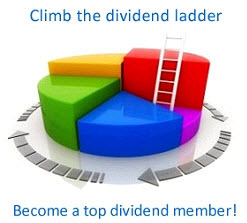 Dividends are considered a return to shareholders on their contributed capital. Because interest expense can be used to reduce taxes, the government (that is, the IRS) is providing a direct tax subsidy on the use of debt when compared to equity. This point is discussed in detail in the next two chapters. 3. Unpaid debt is a liability of the firm. If it is not paid, the creditors can legally claim the assets of the firm. This action may result in liquidation and bankruptcy. Thus one of the costs of issuing debt is the possibility offinancial failure, which does not arise when equity is issued. Sometimes it is not clear whether a particular security is debt or equity. For example, suppose a 50-year bond is issued with interest payable solely from corporate income if and only if earned, and repayment is subordinate to all other debts of the business. Corporations are very adept at creating hybrid securities that look like equity but are called debt. Obviously, the distinction between debt and equity is important for tax purposes. When corporations try to create a debt security that is really equity, they are trying to obtain the tax benefits of debt while eliminating its bankruptcy costs. Long-term corporate debt usually is denominated in units of $1,000 called the principal or face value? Long-term debt is a promise by the borrowing firm to repay the principal amount by a certain date, called the maturity date. Long-term debt almost always has a par value equal to the face value, and debt price is often expressed as a percentage of the par value. For example, it might be said that General Motors debt is selling at 90, which means that a bond with a par value of $1,000 can be purchased for $900. In this case the debt is selling at a discount because the market price is less than the par value. Debt can also sell at a premium with respect to par value. The borrower using long-term debt generally pays interest at a rate expressed as a fraction of par value. Thus, at $1,000 par value, General Motors' 7-percent debt means that $70 of interest is paid to holders of the debt, usually in semiannual installments (for example, $35 on June 30 and December 31). The payment schedules are in the form of coupons that are detached from the debt certificates and sent to the company for payment. Typical debt securities are called notes, debentures, or bonds. A debenture is an unsecured corporate debt, whereas a bond is secured by a mortgage on the corporate property. However, in common usage the word bond is used indiscriminately and often refers to both secured and unsecured debt. A note usually refers to an unsecured debt with a maturity shorter than that of a debenture, perhaps under 10 years. Debentures and bonds are long-term debt. 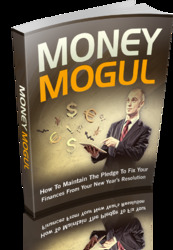 Long-term debt is any obligation that is payable more than one year from the date it was originally issued. Sometimes long-term debt—debentures and bonds—is called funded debt. Debt that is due in less than one year is unfunded and is accounted for as a current liability. Some debt is perpetual and has no specific maturity. This type of debt is referred to as a consol. 4Many government bonds have larger principal denominations, up to $10,000 or $25,000, and most municipal bonds come in denominations of $5,000. Long-term debt is typically repaid in regular amounts over the life of the debt. The payment of long-term debt by installments is called amortization. At the end of the amortization the entire indebtedness is said to be extinguished. Amortization is typically arranged by a sinking fund. Each year the corporation places money into a sinking fund, and the money is used to buy back the bonds. Debt may be extinguished before maturity by a call. Historically, almost all publicly issued corporate long-term debt has been callable.5 These are debentures or bonds for which the firm has the right to pay a specific amount, the call price, to retire (extinguish) the debt before the stated maturity date. The call price is always higher than the par value of the debt. Debt that is callable at 105 is debt that the firm can buy back from the holder at a price of $1,050 per debenture or bond, regardless of what the market value of the debt might be. Call prices are always specified when the debt is originally issued. However, lenders are given a 5-year to 10-year call-protection period during which the debt cannot be called away. Recently there has been a higher incidence of noncallable offerings. In general terms seniority indicates preference in position over other lenders. Some debt is subordinated. In the event of default, holders of subordinated debt must give preference to other specified creditors. Usually, this means that the subordinated lenders will be paid off only after the specified creditors have been compensated. However, debt cannot be subordinated to equity. Security is a form of attachment to property; it provides that the property can be sold in the event of default to satisfy the debt for which security is given. A mortgage is used for security in tangible property; for example, debt can be secured by mortgages on plant and equipment. Holders of such debt have prior claim on the mortgaged assets in case of default. Debentures are not secured by a mortgage. Thus, if mortgaged property is sold in the event of default, debenture holders will obtain something only if the mortgage bondholders have been fully satisfied. 1. The indenture completely describes the nature of the indebtedness. 2. It lists all restrictions placed on the firm by the lenders. These restrictions are placed in restrictive covenants. 1. Restrictions on further indebtedness. 2. A maximum on the amount of dividends that can be paid. 3. A minimum level of working capital. 5When issued, callable industrial corporate debt typically has 10-year protection against being called.